I always thought German Shepherds were awesome. German Shepherd gun combos though? Amazing. Doesn’t seem like the dog enjoyed some of the scenes though since his ears were folded down. 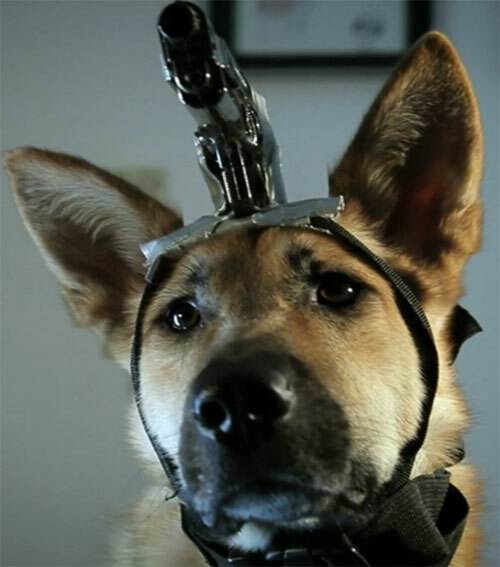 A German Shepard with a 9mm grafted to it’s skull…. I think I’ve officially found the ultimate home defense solution. WHAT HAS SCIENCE DONE!?! How did they manage to create a creature solely dedicated to muzzle sweeping? Always use a suppressor on your gun dog. Here’s to hoping that Gundog’s locking block doesn’t break.